Never tell a "one that got away" story again. Cheeky’s high performance, lightweight fishing reels make reeling in that big catch easier. 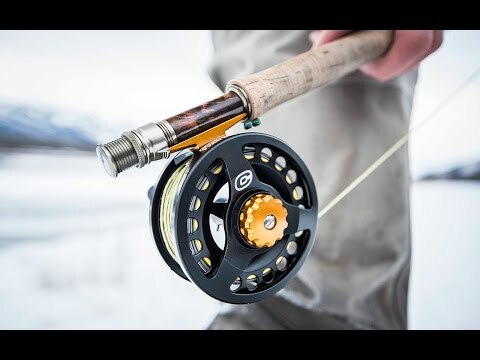 The FLOTR spin reel is ready for freshwater fishing, and features an innovative stacked drag system that moves smoothly and quickly, and can hold more line than most. The strong, durable aluminum and graphite body bears the distinctive designs and bold colors that set these reels apart. Dimensions: 4.5" x 3" x 3"
Bought two for Father's Day gifts. Each recipient was thrilled! Cheeky makes high performance, lightweight fishing reels that are backed with physics and attitude. With one of their boldly colored, well-designed reels, you can pull in a catch more quickly and easily. Any fisher worth his or her salt knows it’s all about the drag—the force that stops your line from swimming away when a fish pulls at it. Cheeky’s reels use an innovative stacked drag system that creates more tension. That makes reeling not just smoother but faster, too, because the reel retrieves more line than other designs. 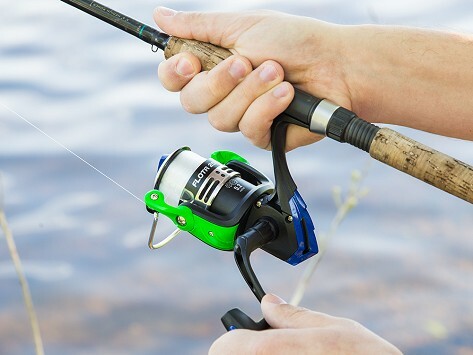 And the aluminum body keeps the reels lightweight yet strong enough to handle big catches. Ted Upton and his friends are avid fishermen, but they thought fishing reels had room for improvement—and could use a personality boost, too. So they started Cheeky to make better reels for both fresh and salt water fishing. Their first redesign was a fly reel, used in fly fishing. A revamped spin reel soon followed to suit other fishing styles. Both are made with the same signature drag system. There are no second chances in fishing—but with one of these distinctive, durable reels, we doubt you’ll need one.